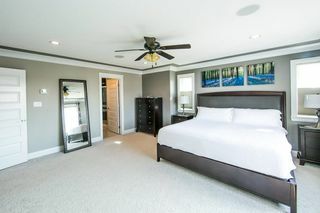 Great location in The Hamptons! 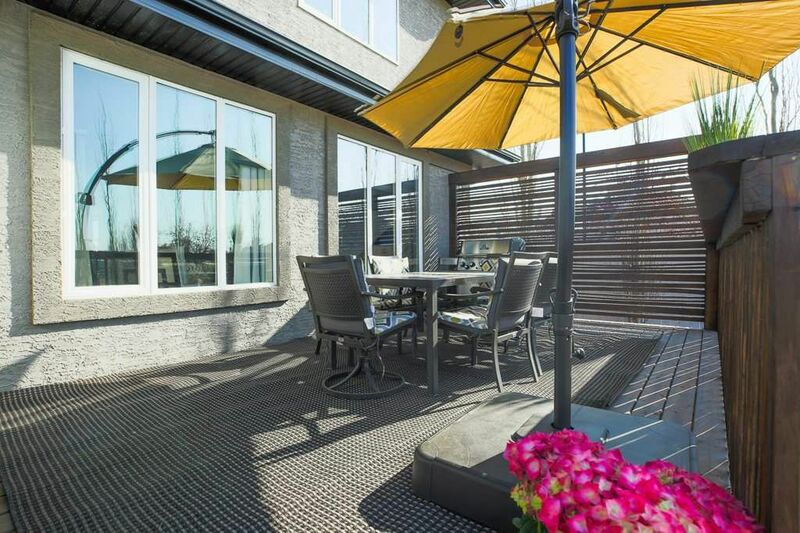 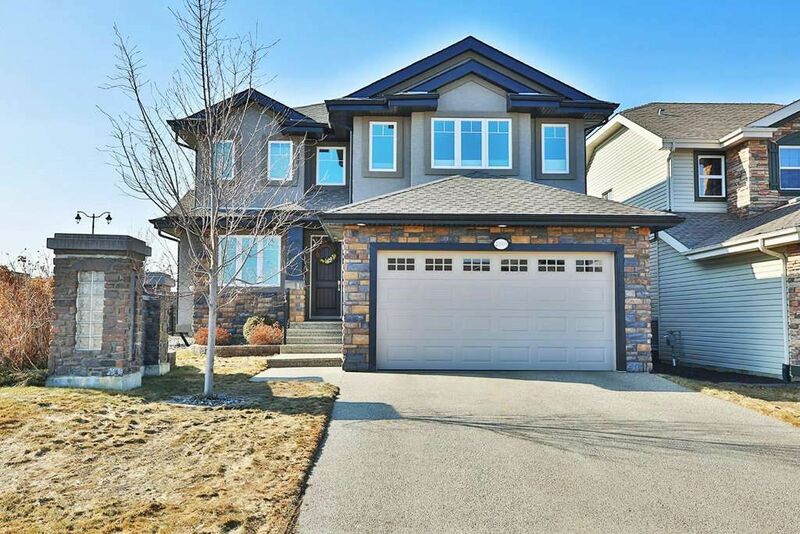 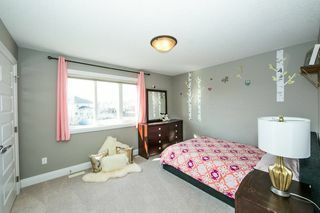 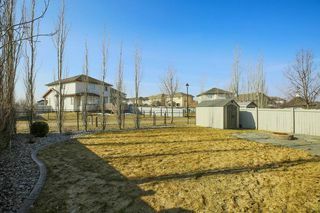 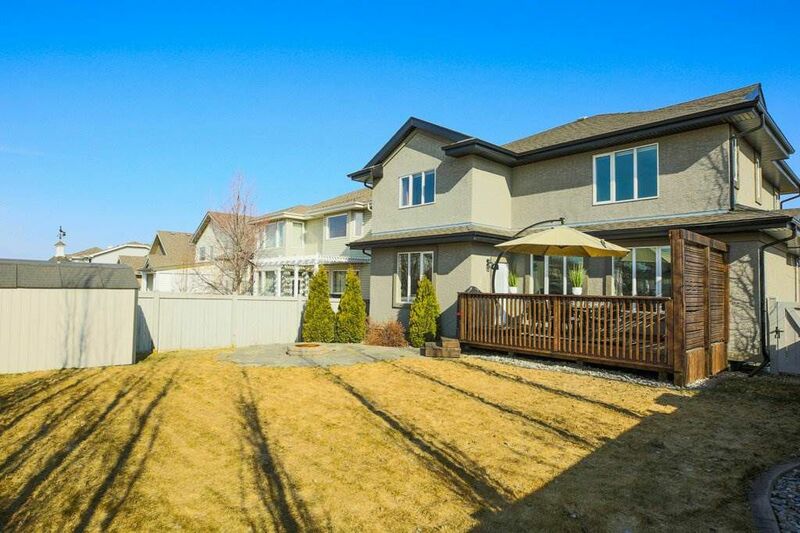 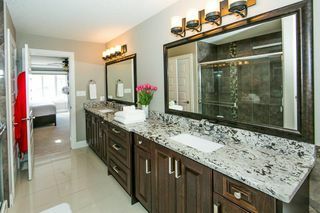 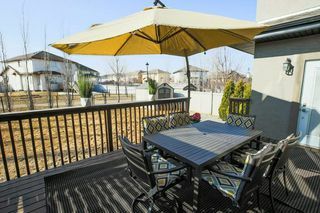 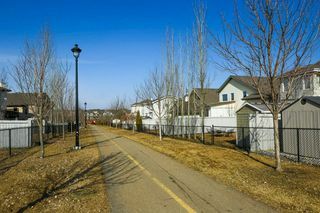 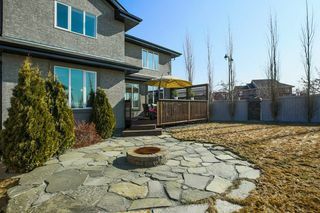 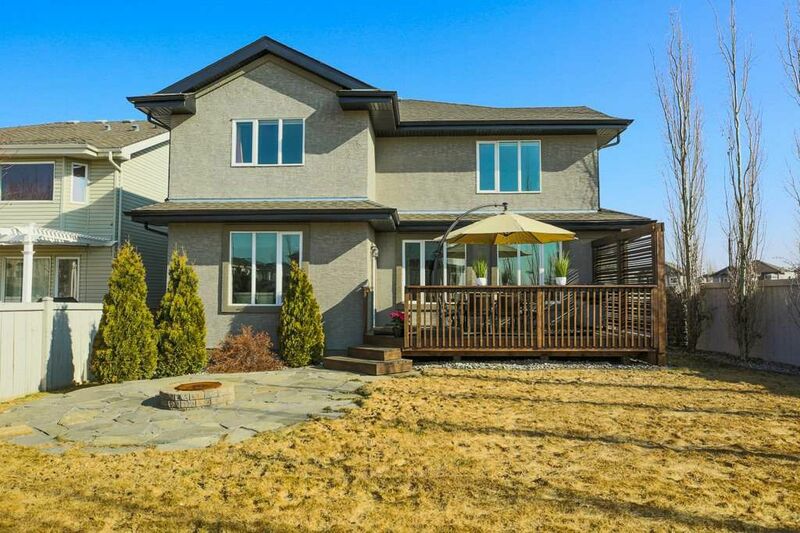 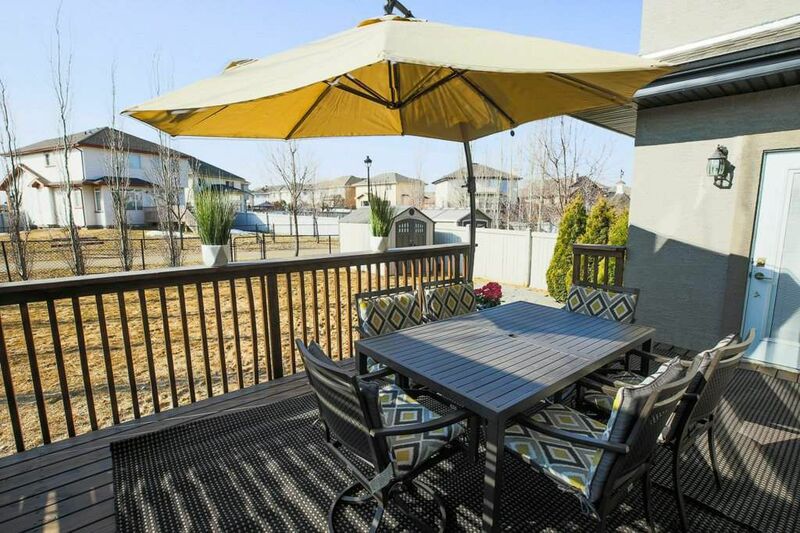 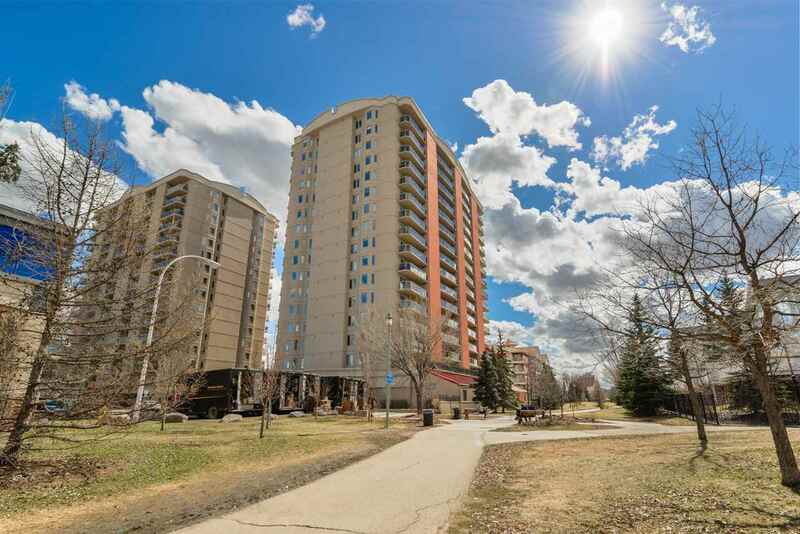 Professionally landscaped lot with SOUTHWEST backyard, backing onto a walking path leading to trails bordering the lake. 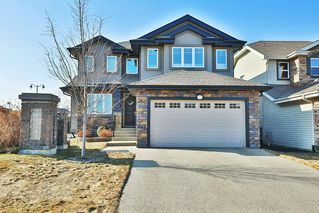 Attractive stucco & stone exterior, aggregate driveway & steps. This top quality home is in impeccable condition! 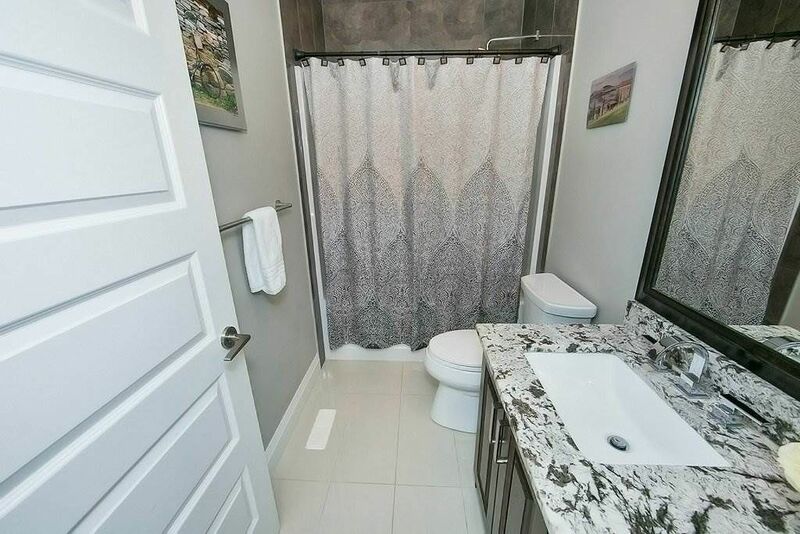 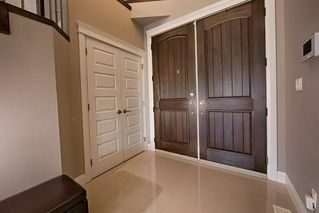 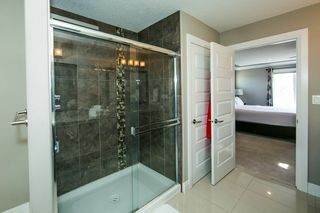 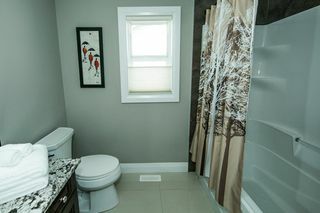 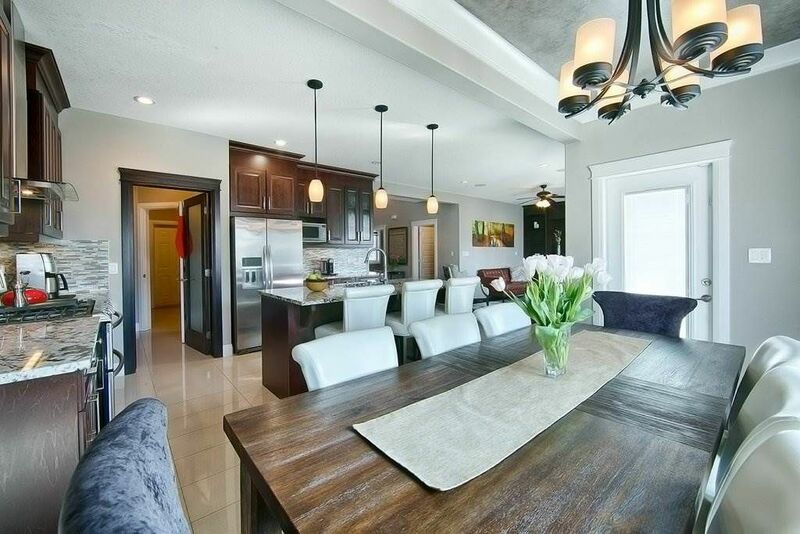 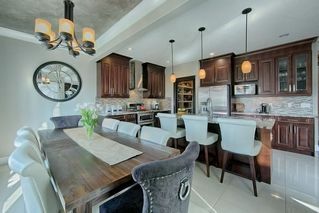 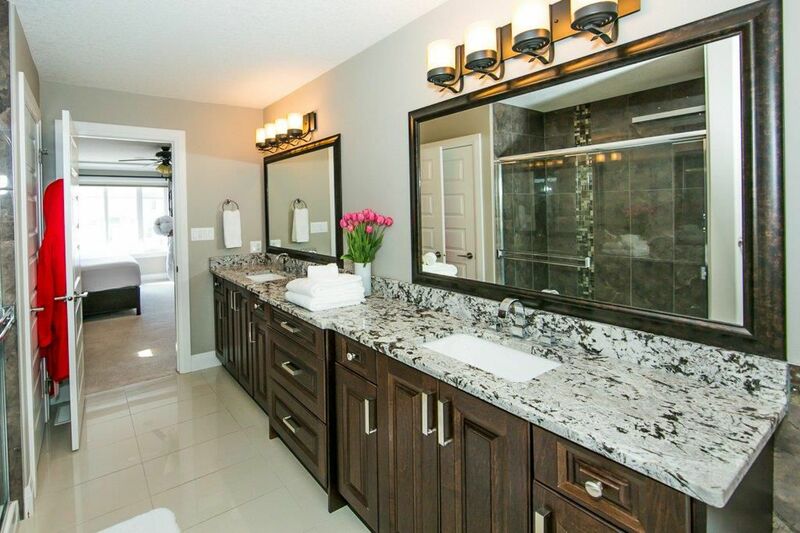 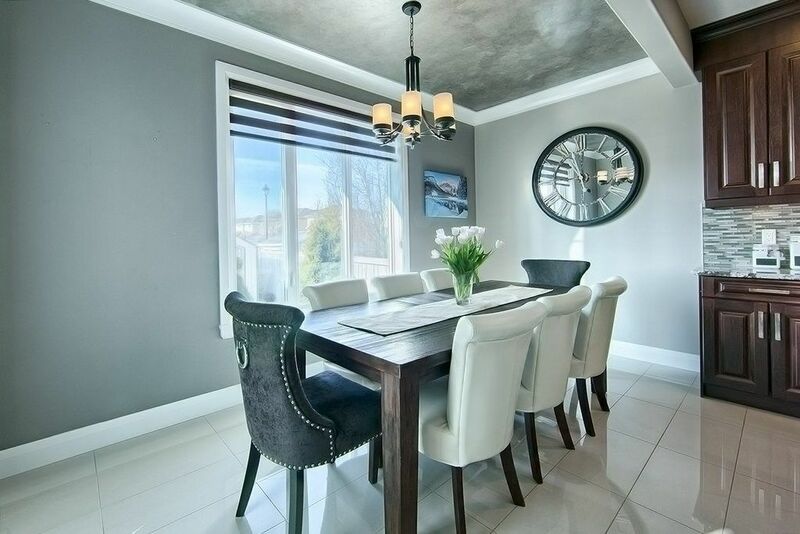 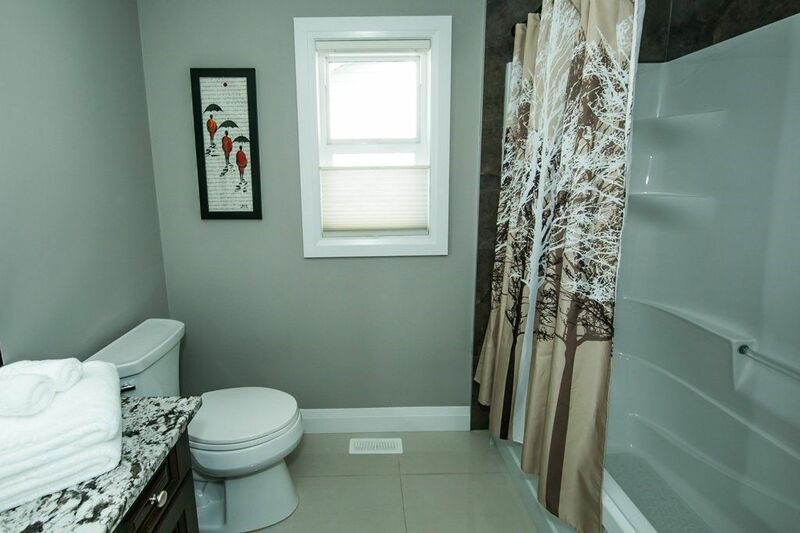 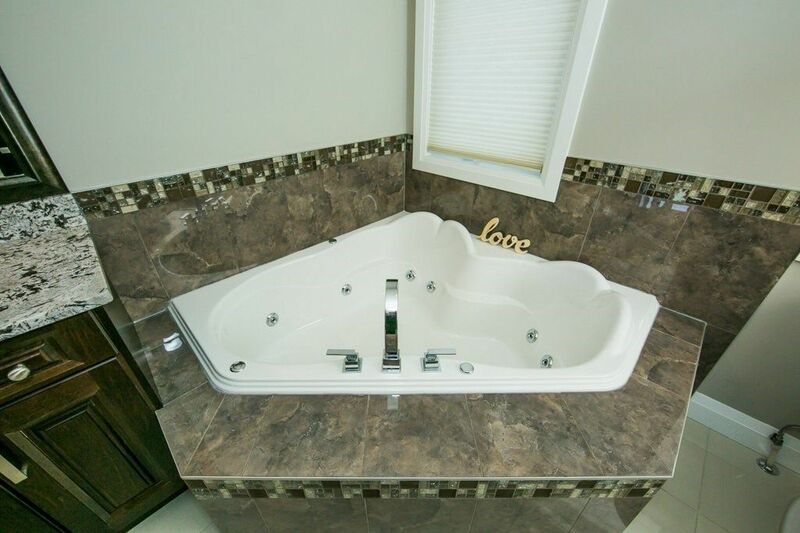 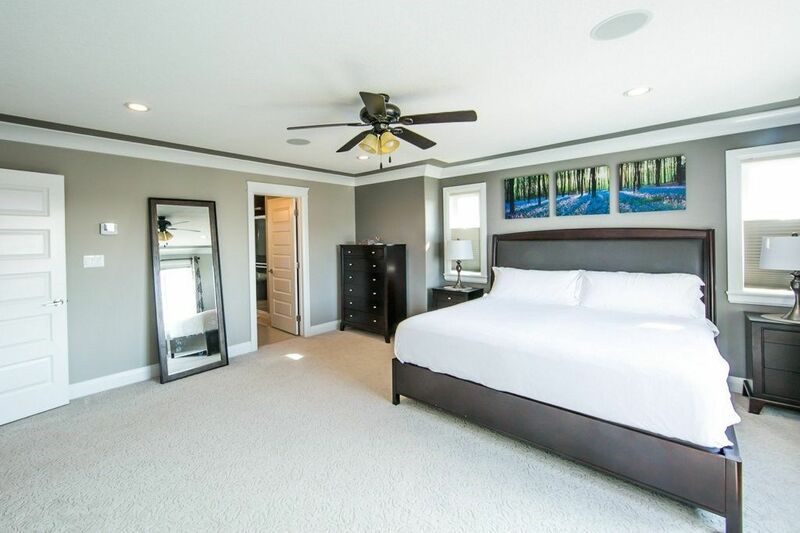 Special features are the HIGH ceilings, porcelain tile, dark hardwood floors, surround sound & main floor 4 pce bath. 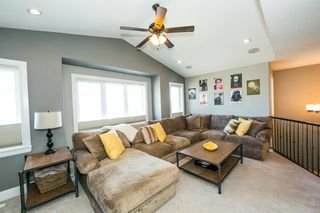 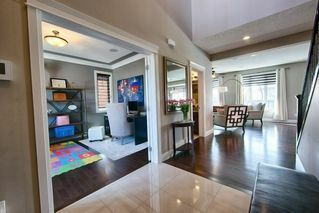 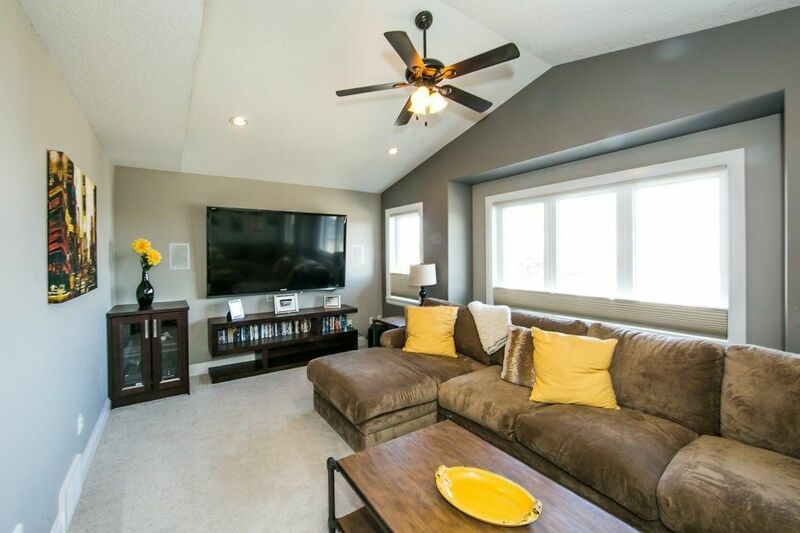 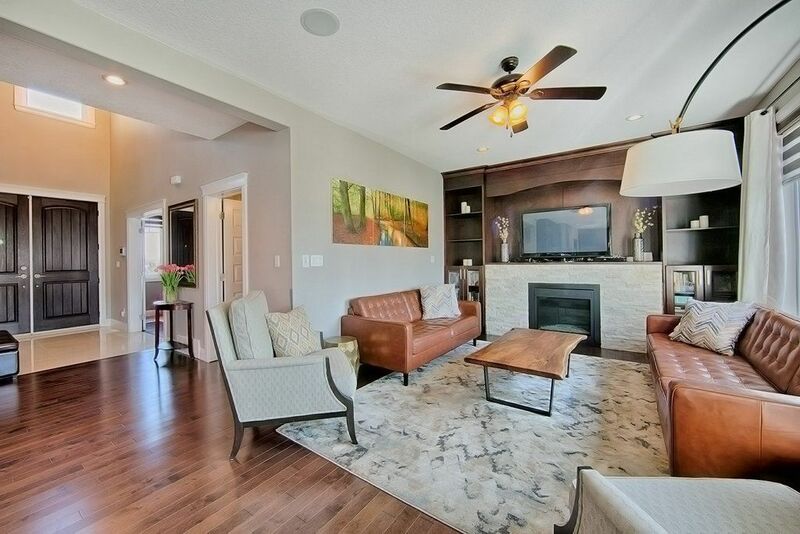 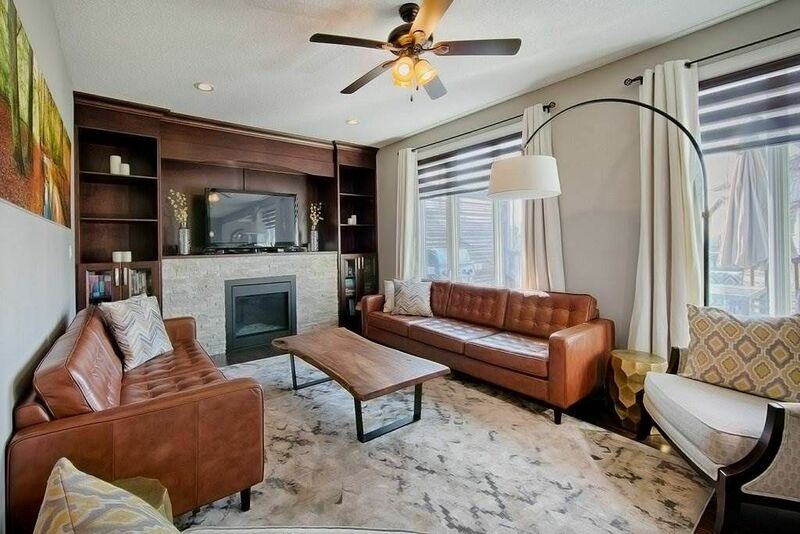 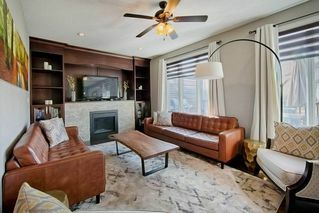 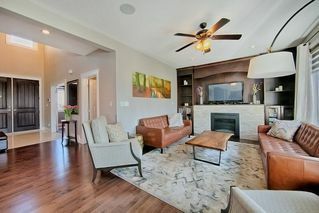 Sunny living room with HUGE windows overlooking the backyard & custom cabinetry on either side of the gas fireplace. 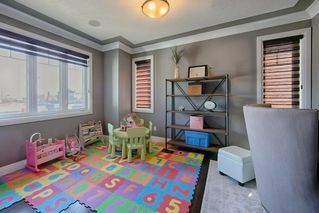 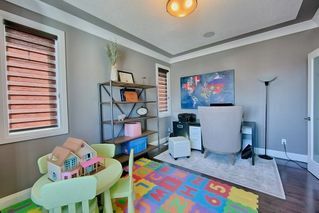 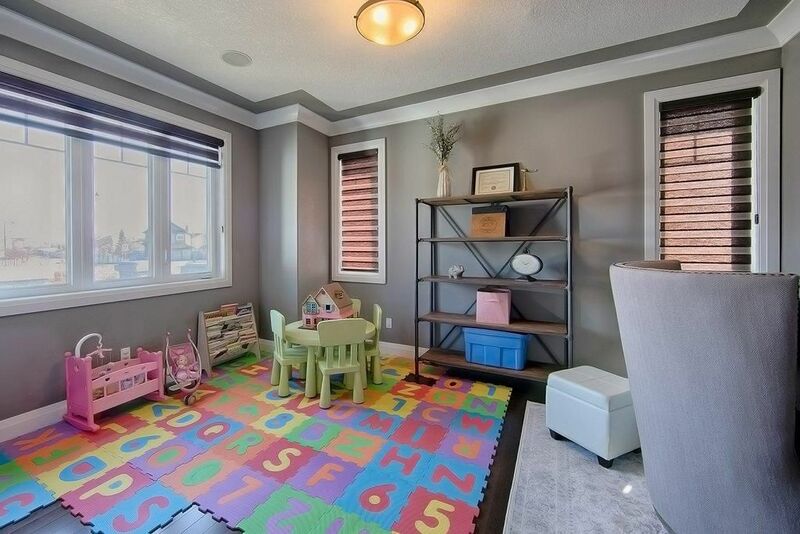 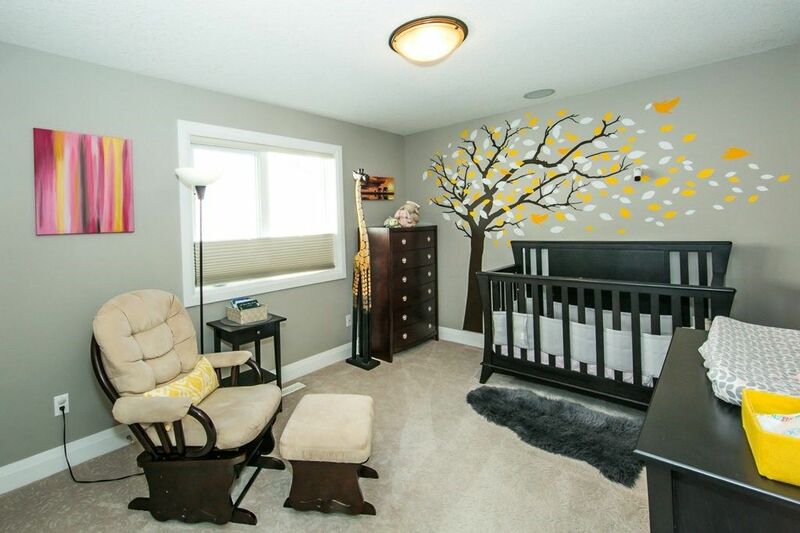 The large flex room with French doors is currently used as an office for mum & dad & playroom for the children. 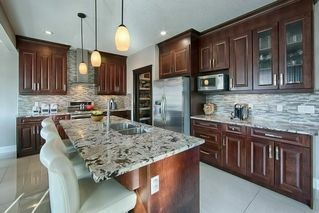 Gorgeous kitchen with island, granite counters, stainless steel appliances & family sized dining area opening onto the deck. 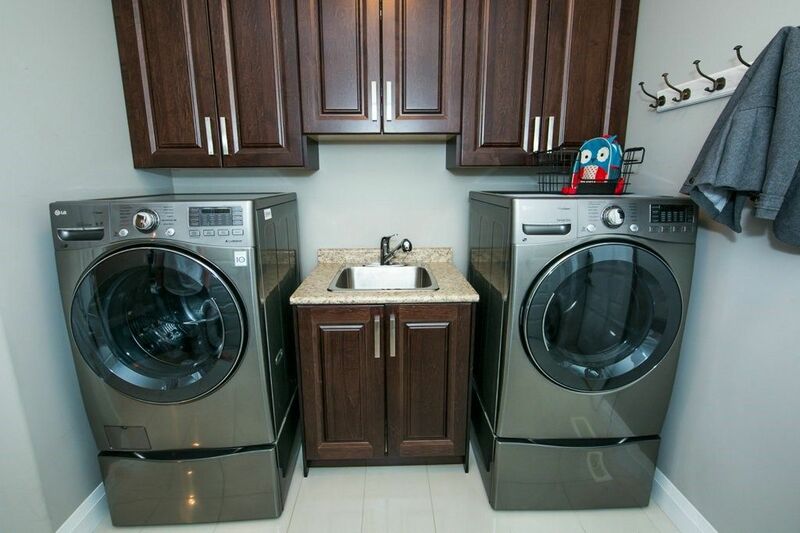 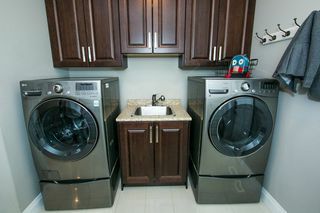 The walk-through pantry connects to the laundry room with sink which offers direct access to the garage. 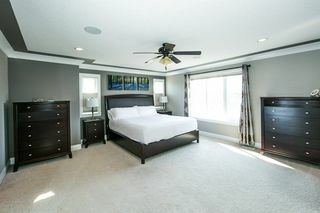 Upstairs features a large bright bonus room, a great place for families to play & relax, 3 bedrooms, the master with luxury 5 pce ensuite & 4 pce family bath. IT'S A WINNER!